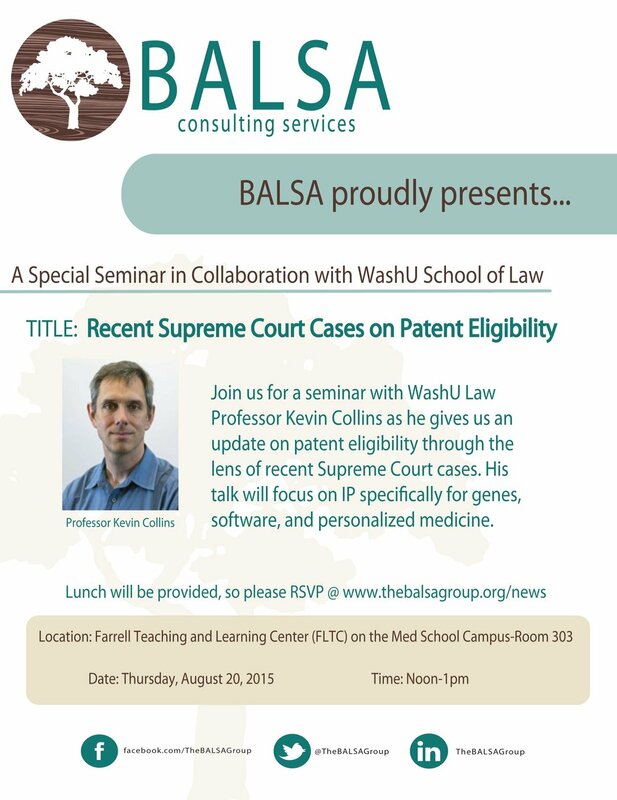 BALSA is proud to announce that we have sponsored Luis Ruiz through MARC uSTAR (Maximizing Access to Research Careers Undergraduate Student Training in Academic Research) program, one of two NIH-funded programs at WUSTL (Washington University in St Louis) dedicated to preparing minority undergraduate students for PhD or MD/PhD training in STEM. Orion Genomics recently published on their molecular technology to increase the yield of palm oil in the journal Frontiers in Plant Science, the most cited and largest open-access plant science journal in the world. The title of the original research article is: "Non-tenera Contamination and the Economic Impact of SHELL Genetic Testing in the Malaysian Independent Oil Palm Industry". Notably, they included the BALSA team that contributed to research for the paper as authors on the publication. Congratulations to the BALSA members who worked on the engagement: Shivam Shah, Hermangi Chaudhari, Allison Hoynes-O'Connor, and Amelia Nguyen. These members were recognized as authors for their contributions to the economic analysis of this technology on the Malaysian Independent Oil Palm Industry. 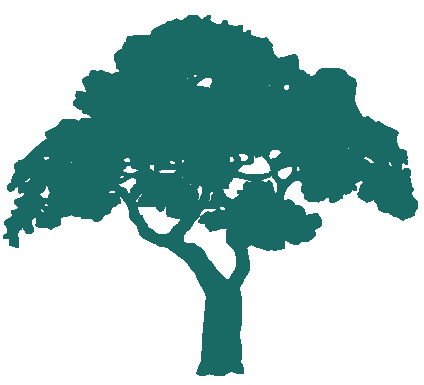 Click here to learn more about our client, Orion Genomics. Congratulations to the Spring 2015 Entry Grant Finalists! Come hear them pitch at the Entry Grant Award Ceremony this Thursday, June 25th at 5:30pm. 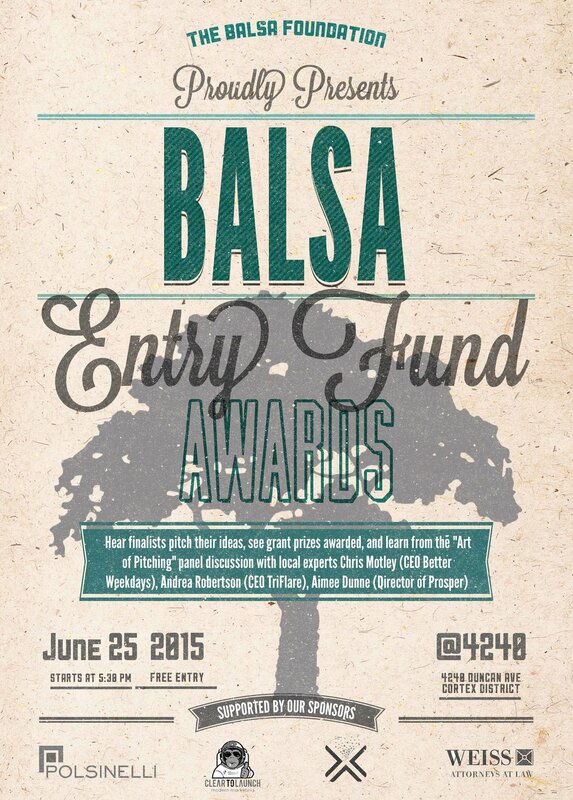 The BALSA Foundation will be awarding over $20,000 in grants and in-kind donations! Please plan to attend and help spread the word! Are you looking for opportunities to learn transferable skills through hands on experiences? 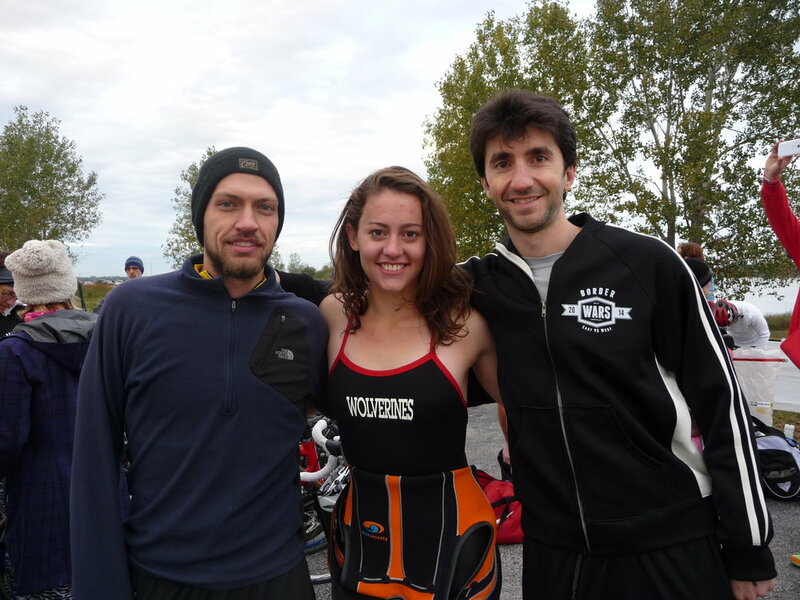 Team BALSA Group placed forth in the co-ed division of the Border Wars Triathon. 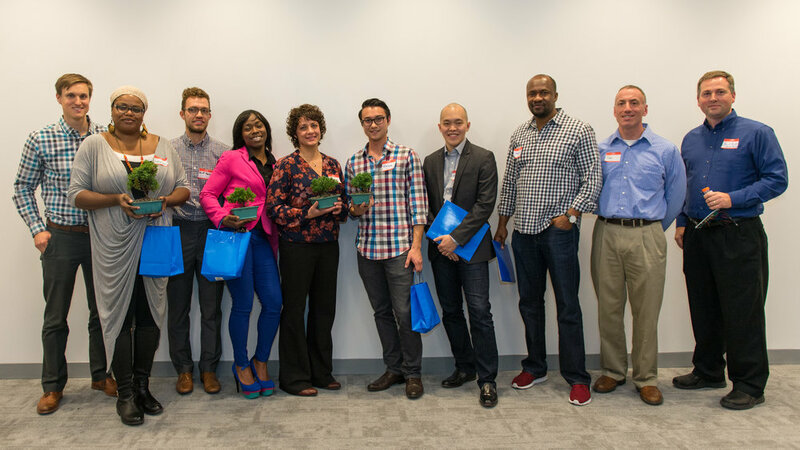 On Monday December 8th at the Cambridge Innovation Center, BALSA will celebrate the entrepreneurs of St. Louis by awarding $1,000 to $5,000 to a handful of Entry Program participants. BALSA is a finalist for the 2014 Arcus Award for Achievement in Innovation and Entrepreneurship, presented by the St. Louis Regional Chamber.